Cutting-edge electronic security systems are nothing without a qualified and licenced provider to design, install and implement them in a way that suits your requirements. When installed with care and a solid understanding of your business or home security needs the result will be invaluable in protecting you from threats or vulnerabilities. At National Electronic Security (NES) we pride ourselves on our attention to detail and commitment to quality. Ultimately, meaning you only get security technologies that are proven and solutions that will last. Since our founding in 1989, as Security Connections by Managing Director Gerard Curtin, we’ve built a solid team with the goal of providing our clients unrivalled reliability and attention to detail in electronic security systems and more. We care about every job we do and are proud of our reputation for an outstanding standard of service. Over the 25 plus years that we’ve operated our service offerings have grown and our dedication and enthusiasm is a strong as ever. With extensively experienced and licenced technicians you can expect a personal service that delivers peace of mind. Peace of mind that your home and family are protected. Peace of mind that vulnerabilities to your business are accounted for. We are committed to offering every Australian family and business this high standard of protection from potential threats. You can trust us to understand your requirements and have the knowledge to select and design a solution that caters to you. It’s important to us that the feature-packed and custom designed solutions we offer fit your needs and are done right. To discover what we can do for you contact us today on 1800 300 870 or enquire online. We’re happy to discuss your security requirements and provide a solution that protects, detects or deters criminal activity. 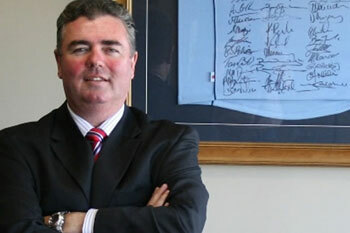 Gerard Curtin, Managing Director – Gerard Curtin is the founder and Managing Director of National Electronic Security, formed in 1989 as Security Connections after a successful NSW Police Force career. The knowledge acquired during time as a police officer would form the basis for NES. Gerard’s common sense approach to policing meant being hand selected for the elite Anti Theft Squad, and serving as the youngest NSW plain-clothes officer. This focus on all aspects of theft allowed Gerard to hone his gift for electronic alarms and surveillance, often providing advice and guidance to businesses and the community affected by theft. Initially a sole trader Gerard would door knock, toolbox in hand, offering his security services. Business took off (with a little help from a large and supportive family and their contacts), and by 1992 clients included Qantas, Australian Airlines and Central Sydney Area Health, plus advising the NRMA on burglar alarm requirements. Joined by wife Lisa in 1995 the company has grown ever since. With a focus on attention to detail and strong ethics, instilled by his prominent Sydney architect father Kevin Curtin, clients have come to recognise the reputable services of NES. Today when Gerard is not managing the business, he is known to occasionally pull the overalls on, still maintaining his security technician license. 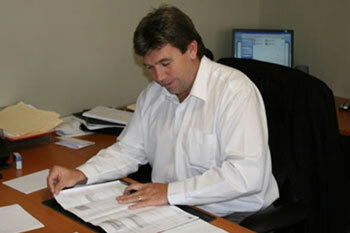 Greg Wares, Sales Manager (LSC.No. 408608706) – Greg brings extensive security systems knowledge grounded in 10 years of NSW Police experience and service, including tenures in General Duties, State Protection Group, prisoner custody and transport. As a licensed security consultant and technician Greg continually maintains his knowledge to ensure our products and installation processes are to industry best practices and, importantly, meet National Electronic Security’s own high standards. Having formalised security standards and procedures for major financial institutions, large industrial sites, high density, multi user office complexes, business operations premises and residential homes Greg is well regarded in the industry. Whether working with a property developer, company CEO or homeowner, Greg believes every person he deals with deserves nothing less than his total commitment. Need a business or home security system installed by a committed and professional team? Contact NES on 1800 300 870 or enquire online to discuss a solution suitable to your requirements.